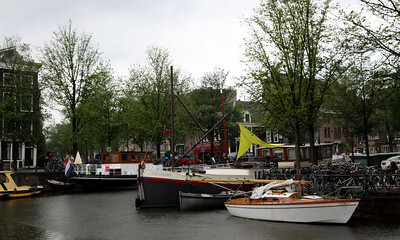 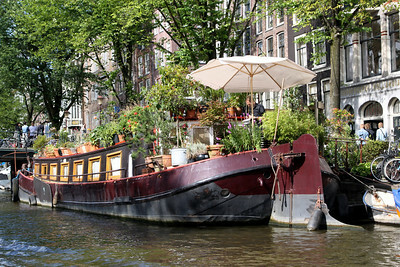 Boats and canal, with the medieval Montelbaanstoren tower, Amsterdam. 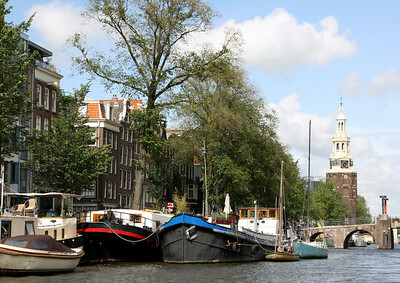 Montelbaanstoren and canal. 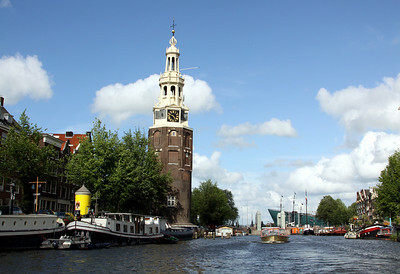 The lower section of the Montelbaanstoren was built in 1512 forming part of the city defences. 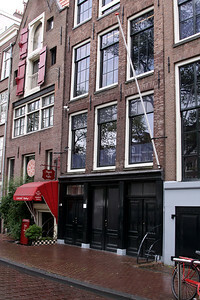 The tower began listing in 1611 (but maybe not as much as the photo suggests!). 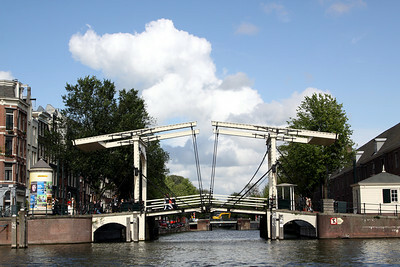 Lift bridge on the Amstel river. 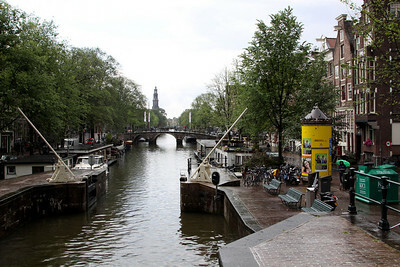 Prinsengracht Canal and lock, Amsterdam. 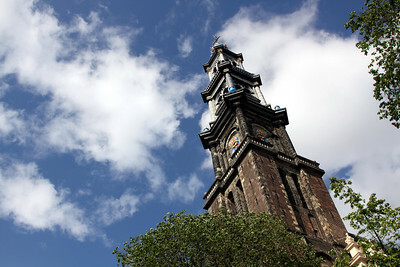 Westerkerk church tower (tallest in the city at 85 metres). 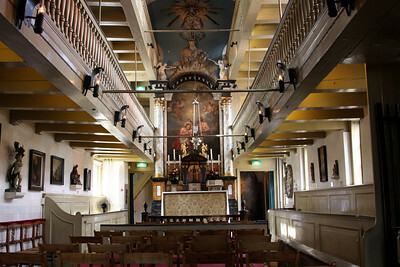 Amstelkring museum - Our Lord in the Attic Catholic church. 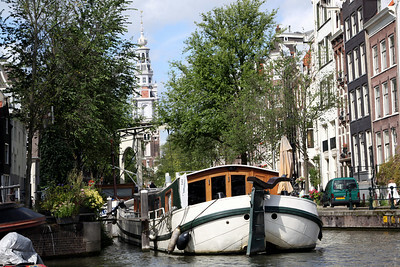 Amstelkring museum - Our Lord in the Attic Catholic church - a secret Catholic church built in the upper stories of 3 canal houses. 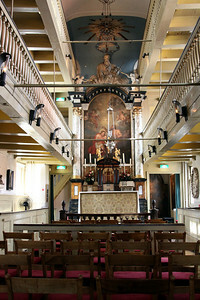 The hidden church was originally built in 1663 and extended around 1735 to create more seating space. 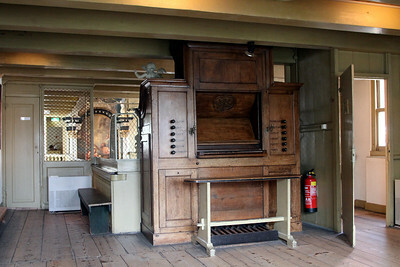 Amstelkring museum - Our Lord in the Attic Catholic church - the organ at the back of the church (the Altar painting can be seen in the background). 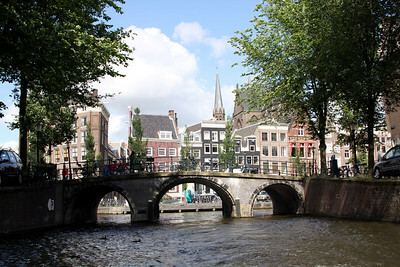 Oude Kerk - church built in the 14th century. 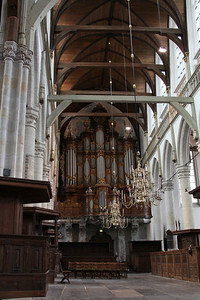 Oude Kerk - interior showing the Great Organ Added in 1724). 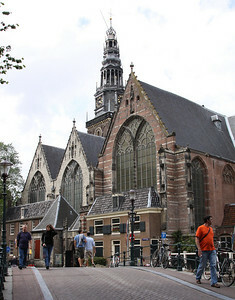 Oude Kerk - the Great Organ, added in 1724. 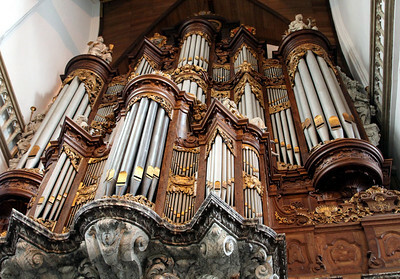 Christian Vater's oak encased organ has eight bellows and 54 gilded pipes. 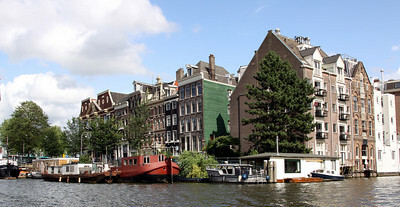 Marbled-wood statues of biblical fifures surround it. 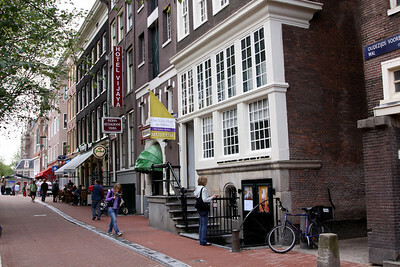 Anne Frank's House - no photography allowed inside. 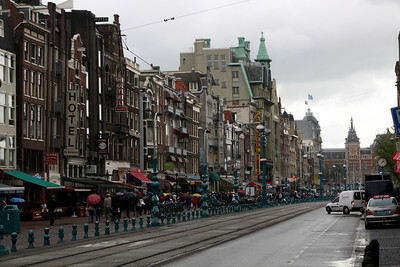 Damrak - the main street connecting Central Station (in the distance) with the city.